All That You Want To Know About PET Scan Test At Chennai! A PET scan is one of modern medicine’s most useful and effective imaging technologies. It plays a crucial role in the detection and diagnosis of many disorders and diseases in the human body. 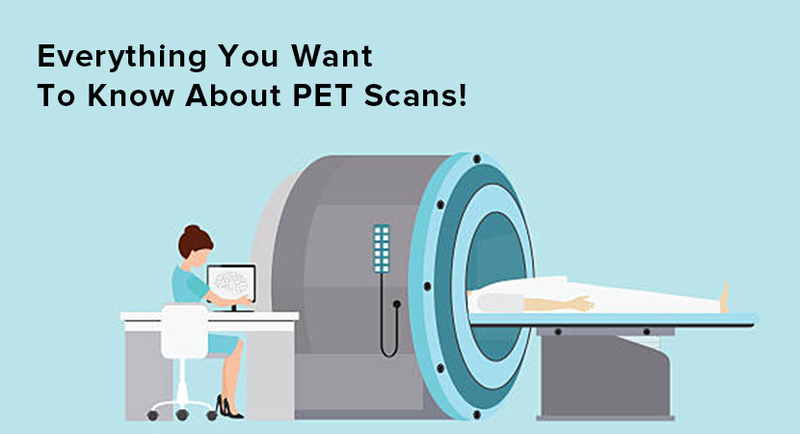 Find Out What A PET Scan Test at Chennai Entails! PET stands for Positron Emission Tomography. As the name suggests, these scans use the emission of positrons (a type of atomic particle) by a tracer drug to get a visual representation of the chemical processes and functions happening inside the body. The radioactive tracer is usually ingested, injected, or inhaled into the body. It emits a differential number of positrons based on blood flow, oxygen use and other metabolic activity markers at any given part of the body. These atomic emissions are then manipulated to provide a 3D image of the physiological processes occurring in the body. Any deviations from the normal that shows up on the scan indicates impaired functioning or disease. At Anderson Pet Scan Chennai, the scanner is integrated with a Computed Tomography (CT) scanner to get a holistic picture of both the physical and functional aspects of the body. A PET/CT scan thus points out the problematic areas in the body at a cellular level, aiding in the detection, diagnosis, and treatment of various disorders. PET/CT scans at the best diagnostics labs in Chennai are predominantly used for cancer diagnosis and treatment. Because of the accurate demarcation of cancerous tissue provided by this scan, oncologists find them very useful for detecting cancer as well as determining the degree of severity and stage of advancement of cancer. This crucial information helps them arrive at a patient’s prognosis and formulate a comprehensive treatment plan to combat the deadly disease. Physicians use the scan from time to time to gauge the effectiveness of the treatment and tweak it if required. Is The Only Use For A PET Scan Cancer Diagnosis? Though PET is often used to check for cancer spread in the brain, it helps in diagnosing neurological conditions like dementia, Alzheimer’s, Parkinson’s, and other Central Nervous System disorders too. PET is a non-invasive imaging procedure for identifying Coronary Artery Disease and determining the best way to treat it (whether to perform stenting, angioplasty or bypass surgery). It can also help assess damage in the aftermath of a heart attack by helping to differentiate healthy tissue from the unhealthy. If you have had an allergic reaction to either the tracer before. With all this information you should be having a good picture of PET scans in general and how useful they are in treating a wide range of medical conditions.